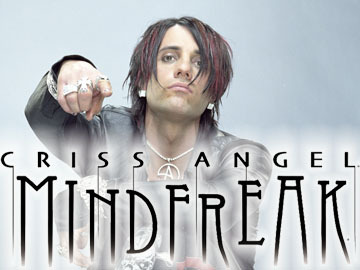 Arguably one of the most popular names in the industry, Criss Angel is bringing his brand of magic to Dubai in a three-show premiere of his new production ‘Mindfreak Live’. Hanging up his magician’s hat after six years of mind-boggling tricks in Las Vegas, Criss Angel will perform at the Hamdan Sports Complex from November 12-14 in a 90-minutes production organised by Done Events. The show is based on his successful television magic show, ‘Mindfreak’ which is syndicated to more than 90 countries, attracting in excess of 100 million viewers throughout its six seasons. “I’m thrilled to have developed my new show ‘Mindfreak Live’ and honoured to be world-premiering it in one of the world’s most iconic cities, Dubai. It’s been more than six years since I have performed live outside of Las Vegas, and I’m looking forward to debuting this spectacular and unique family show in the Middle East,” Criss said in a statement. The artiste rose to fame with the production of ‘BeLIEve’, which he created and directed in partnership with executive producer Cirque du Soleil in 2008. Over the years, he has received numerous awards including being named ‘Magician of the Year’ six times. Criss was also presented with a lifetime achievement award, The World Magic Legacy Award ‘A Living Legend’, at The World of Magic Seminar in Las Vegas. The magician also has a large YouTube following, with his ‘Walk on Water’ clip generating over 48 million views. Tickets for his Dubai show are priced at Dh349, Dh499, Dh1,499 and special private viewing box tickets also available. Previous articleRaftaar Disses Yo Yo Honey Singh on Facebook!